I got a chance to speak with Cliff Bleszinski after yesterday's Boss Key panel, where we got a first look at Project Bluestreak. We spoke about his new studio's development ethos, the importance of movement in the FPS genre, and his passion for the coming wave of virtual reality technology like the Oculus Rift and SteamVR. 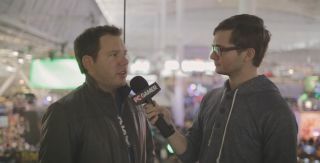 Virtual reality, Bleszinski said, is going to have a big impact on FPS games.